I’ve put together a small list of Black Friday and Cyber Monday deals for you my sewing friends. The list is focused on current and past sponsors of the Sew Alongs & Sewing Contests fb group as a way to thank them for their support. The Sew Alongs group hosts monthly sew alongs with fun prizes for participants. We’re a fun and encouraging group. I hope you’ll join us. 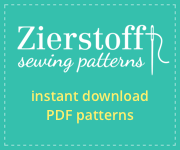 Waffle Patterns All paper & PDF patterns 20% off. No coded needed. Closet Case Patterns Save 20-30% with code THANKSGIVER18, ends Sunday. Jennifer Lauren Handmade 30% off all patterns with code THANKS18, good through Monday. Scroop patterns 25% off all patterns with code PIEYAY. Valid until midnight Tuesday NZ time. Sinclair Patterns Black Friday sale reductions across the store, no code needed.